A fantastic afro-beat album from a Fela Anikulapo Kuti disciple and Kalakuta Republic member. A sublime spiritual and political session recorded in 1979 at the Emi studio in Lagos (Nigeria). Arranged and self-produced, this second Kingsley Bucknor‘s album, hopelessly obscure and impossible to find ranks alongside the best afro-beat album in history! 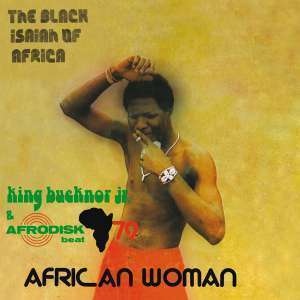 At the age of 19, King Bucknor Jr, also known as the Black Isaiah of Africa, released his second album backed by a 16 band members called “The Afrodisk” and 10 background singers . Two long and hypnotic grooves with all the afro -beat ingredients, fluid and complex drums patterns, strong horns, female voices on chorus, strong lyrics, beautiful keys and horns solos . Essential for all the afro collectors and music lovers.